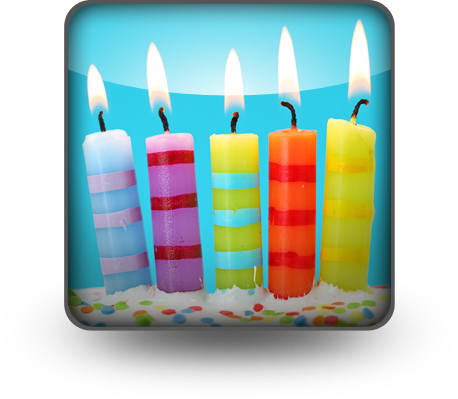 It’s hard to believe, but today is this blog’s 5th anniversary. Perhaps it’s why I’ve been feeling something of a five-year itch with it. Over recent months, in a scattered way, I’ve been reflecting on where I’m at with both my research and blogging. My prevailing sense has been that my blogs, and my research, have got away from me – another way to say I think I’ve bitten off more than I can chew, despite chewing furiously. When I bought a large mobile whiteboard about a year ago, I wrote at the top “Beware of the tiger’s tail”. 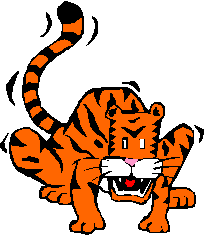 What I meant by that, was to be strategic in my blogging rather than catching hold of the tiger’s tail and having it drag me along willy-nilly. Sure, I’ve written lots of stories relevant to my research but I’m equally sure I’ve not been strategic in my approach. I’ve been tempted to take myself off to Kakadu for a couple of days sans technology and take the chance to step back and decide what’s important to my family history research, my blog and what I want to achieve in the future. So where do I go from here…other than Kakadu? 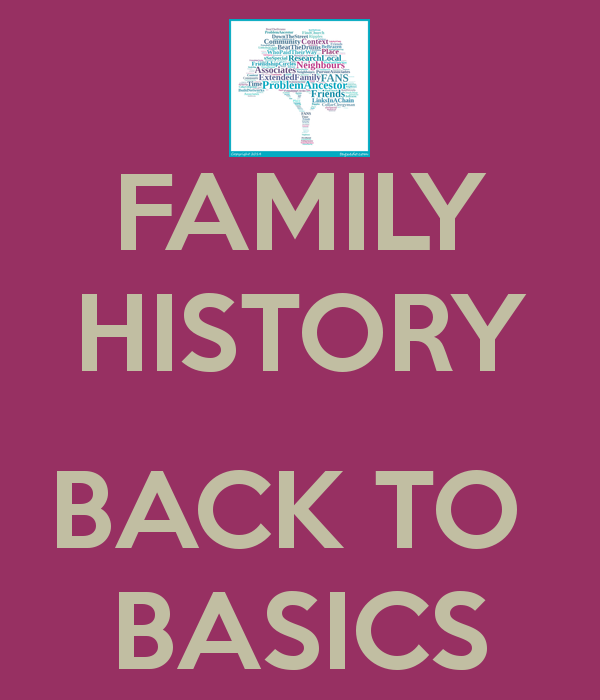 In the past my practice has been to write up my family history in narrative form – partly because I started in the pre-computer age, and partly because it suited my style, following an example demonstrated by two academic researchers I met. Genealogy programs tend to make me feel claustrophobic and for a long time I felt that the Australian program, Relatively Yours, solved my needs best. However the time has come to jump ship and make the move to another program, probably Family Historian. I definitely want one that permits more than a restrictive view of what constitutes “family”. After all I’m interested in my ancestors’ broad life experiences, not just the hatches, matches and despatches. I want to know the nuances of their lives, the place, siblings, neighbours and former neighbours etc as they so often break down brick walls. I have published my Kunkel family history but with so much coming online, especially via Trove, there are always new additions. Similarly I have unpublished narratives for several of my other lines: McCorkindale, Melvin, Gavin. Project: Transfer my RY data to Family Historian. Because of the particular aspect of Relatively Yours I don’t find the gedcom works as well as it might. Project: Prepare a spreadsheet which lets me check which certificates and records I’ve explored, hold or am still missing. Work on timelines for my tricky ancestors. 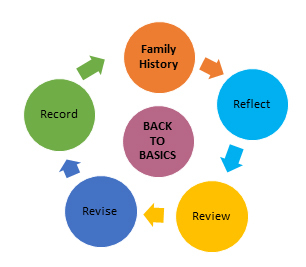 A couple of months ago I wrote a post for the Worldwide Genealogy blog called My Three Rs of Genealogy Research: Review, Record, Revise. It certainly seems pertinent within this context. Overall I feel my genealogy (the structure of who’s who) is accurate: I’m a Doubting Thomas and will worry at something like a bone until I find the answer. If it’s not certain, then I will only add it as an hypothesis in my narrative, clearly stated as such…another advantage of the narrative model. A month or so ago I added this note to my whiteboard as I wrestled with the “where to from here” question: Back to Basics. Project: Review my many notes in over 50 notebooks from archive and library visits, LDS microfilms etc (and continue to digitise them). Incorporate the information into my narratives and genealogy program. I will also focus on whether my assumptions have been correct or whether I need more data. Thomas MacEntee’s new Genealogy Do-Over Program is opportunely timed for me, as I think it will be complementary to what I’m trying to do here. However, I won’t be packing away my 28 years of research as I don’t think I need to…after all my data doesn’t come from online trees or other’s research. In (almost?) every case I’ve started with the basics and gone from there. However, I will be going back to revisit my basics as mentioned above, and putting the research microscope over the conclusions I’ve reached, the gaps in my research, and where I can pursue further information. In short, be more strategic. I’m confident there’ll be lots of tips in the Genealogy Do-Over Program that will help me with what I want to achieve. Project: Follow along with the Geneabloggers’ Genealogy Do-Over Program and implement strategies as appropriate. I’m expecting 2015 to be a big year for the Cassmob clan as a lot is planned. Hopefully I’ll be able to tackle these tasks along with the family goals. 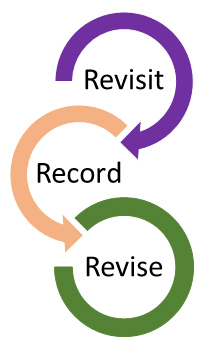 Reflect, Review, Revise and Record. There are also other decisions to be made about my Dorfprozelten blog, which has been languishing unattended, and my East Clare Emigrants blog. As this fifth year draws to a close I’d like to thank you all for reading. Blogging may have sometimes taken me off-track research but it’s given me a wonderful world-wide community of friends, some I’ve already met, and some I hope to meet at Roots Tech and the FGS Conference in February. Thanks so much for reading my blog posts, commenting and being supportive!! 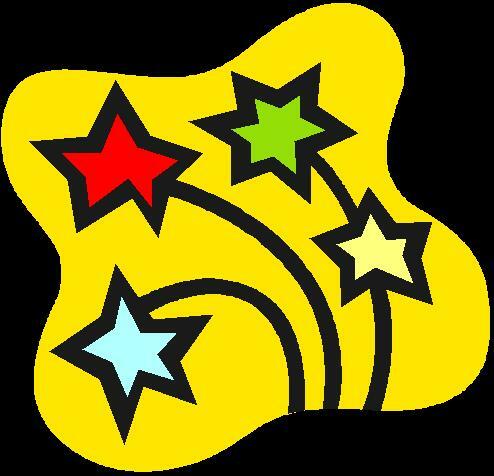 You’re all stars!